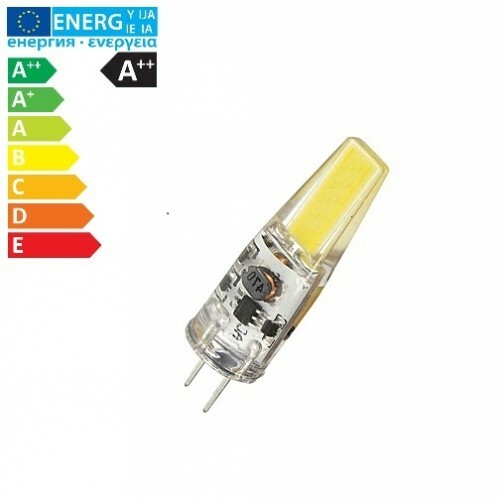 The best quality super low energy consuming LED bulb used as a direct replacement for a 20W Halogen equivalent, typically used for boating, chandeliers, kitchen lighting, bedside reading and table lamps. Colour Temperature: Warm White (3000K), Pure White (4000K) or Cool White (6000K). Dimmable : Yes (SCR Silicon switches only). Length: 38mm (29mm silicon bulb) *NB These are larger than standard G4 halogen bulbs. Typically used for kitchen lighting, bedside reading and table lamps. Base: G4 DC..